The Arts Castle’s New Year’s Eve Party will feature central Ohio band Nightfall as well as tarot card readings and caricature drawings. Cocktails and appetizers will be served. Activities will begin at 9 p.m. on Sunday, Dec. 31. Admission is $60 per person. Tickets can be purchased at artscastle.org. The Arts Castle is located at 90 W. Winter St., Delaware. For information, go to the website or call 740-369-2787. Preservation Parks presents Winter Bird Walk at 8 a.m. on Saturday, Dec. 30 at Gallant Woods Park, 2151 Buttermilk Hill Road, Delaware. Birding enthusiasts shouldn’t miss this early morning winter bird hike led by park district staff. All skill levels are welcome, and loaner binoculars will be available. Admission is free. Open to ages 7 and older. Preservation Parks presents a New Year’s Day Hike at 10 a.m. on Monday, Jan. 1 at Gallant Woods Park, 2150 Buttermilk Hill Road, Delaware. Volunteer Len Fisher leads the annual first hike of the year through woods and prairies. Finish your hike at Gallant Farm for hot soup and refreshments. For information, call 740-595-3020 or go to www.preservationparks.com. The Delaware County Engineer reports that the closure on Moody Road between Olive Green Road and Peerless Road will be delayed. The current bridge replacement project was scheduled to open on Dec. 29, 2017, but will be delayed to January 12, 2018 due to the weather. For information, contact the engineer’s office at 740-833-2400. Showtimes for Friday, Dec. 29 through Thursday, Jan. 4. Star Wars: The Last Jedi (PG-13): Friday, 5 p.m., 8:30 p.m.; Saturday, 2 p.m., 5:30 p.m., 9 p.m.; New Year’s Eve (Sunday), 1 p.m., 4:30 p.m.; New Year’s Day (Monday), 1 p.m., 4:30 p.m.; Tuesday-Thursday, 4 p.m., 7:30 p.m. The Greatest Showman (PG): Friday, 5:30 p.m., 8:30 p.m.; Saturday, 2:30 p.m., 5:30 p.m., 8:30 p.m.; New Year’s Eve (Sunday), 1:30 p.m., 4:30 p.m.; New Year’s Day (Monday), 1:30 p.m., 4:30 p.m.; Tuesday-Thursday, 4:30 p.m., 7:30 p.m.
Jumanji: Welcome to the Jungle (PG-13): Friday, 5:15 p.m., 8:15 p.m.; Saturday, 2:15 p.m., 5:15 p.m., 8:15 p.m.; New Year’s Eve (Sunday), 1:15 p.m., 4:15 p.m.; New Year’s Day (Monday), 1:15 p.m., 4:15 p.m.; Tuesday-Thursday, 4:15 p.m., 7:15 p.m.
For information, go to thestrandtheatre.net. 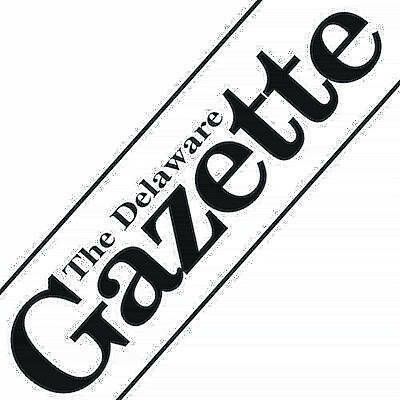 The Main Street Delaware gift certificate program, a partnership between Main Street Delaware and First Commonwealth Bank, will conclude at year’s end. All certificates must be redeemed at downtown shops or restaurants on or before Dec. 31 to be valid. Main Street Delaware will continue to sell engraved bricks to help people commemorate important events with permanent, personalized bricks inlaid in downtown sidewalks. Bricks are $75 each and may be inscribed with up to three lines of text, with a maximum of 13 characters or spaces per line. For more information or to place a brick order, visit www.mainstreetdelaware.com/brick-scape.html. Main Street Delaware’s January First Friday is planned for Jan. 5. The theme for the event is FREE-ze Fest. Participating downtown Delaware businesses will be offering free events, make and take crafts, shows, entertainment, and samples. To see the list of participating vendors, go to www.mainstreetdelaware.com. For information, email director@mainstreetdelaware.com​ or call at 740 362-6050.